Your best travel tool might be your phone. 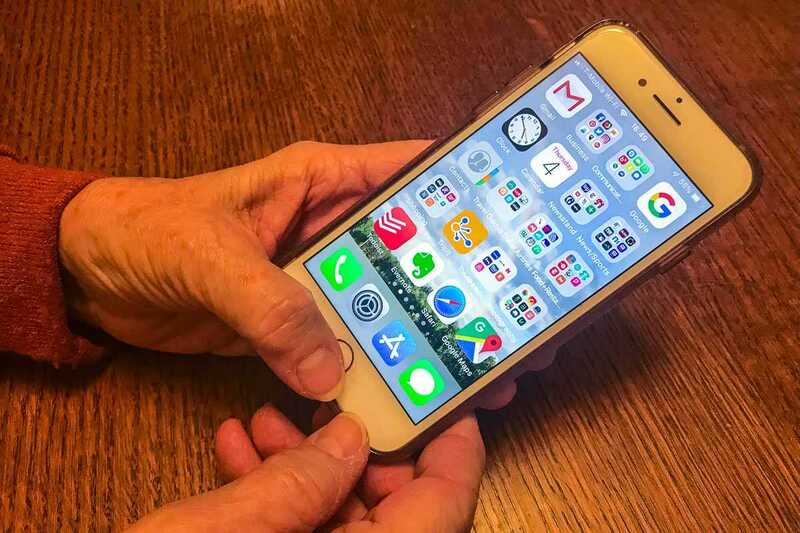 As we all know by now, apps on your phone (and computer) can make your life so much easier. That’s particularly true when it comes to travel planning. Our trips always start with checking out and arranging everything either on our phones or the computer. Yours probably does, too. 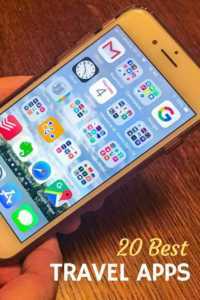 Here are the 20 apps we use all the time. If you haven’t checked them out yet, you should. They’ll make your travels so much easier. Our search for flights often starts with Skyscanner. It’s simply the best we’ve found for presenting you with all the options about how to find the best flights in terms of schedule and cost. While we don’t always go for the cheapest flight available, we do like to know that that option is there if we want it. This is the best place to find all the flight info in one place. 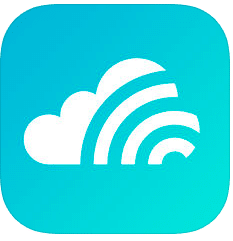 Get Skyscanner for IOS or Android. Obviously, Delta is not the best airline for everyone, but because it has a hub in our home town of Minneapolis/St. Paul (MSP) it’s the airline we fly the most. 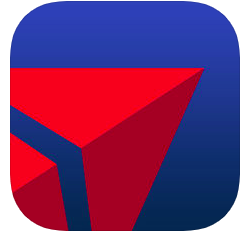 The Fly Delta app is the best of all the airline apps we’ve found too. So that’s a bonus. It tells you your miles available, and a feature I really like, your chances of being upgraded. We fly enough that we have status on Delta, so that last feature is really nice. Get Fly Delta for IOS or Android. Probably the worst thing about flying is hanging out in airports waiting for your next flight. So, since we do that a lot, having lounge access is a must. We get Priority Pass membership with our Amex Platinum card, but the app lists most all the lounges in airports around the world, so even if you aren’t a member, you can often pay a day rate for lounge access. It’s often worth it for the food and drink you’d otherwise buy on the concourse. And there’s always free wifi, too. An alternative to Priority Pass is Lounge Buddy. We actually use both apps. 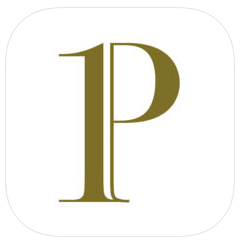 Get Priority Pass for IOS or Android. 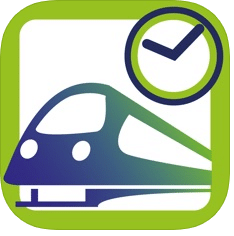 Rail Planner is the app associated with Eurail for the trains that take the Eurail pass. Because not every train system takes Eurail, it’s slightly limited. Nevertheless, it’s a good place to start for train schedules in Europe. You can’t actually use it to book trains, but it will give you a timetable. Get Rail Planner for IOS or Android. The DB here stands for Deutsche Bahn, or the German train system. 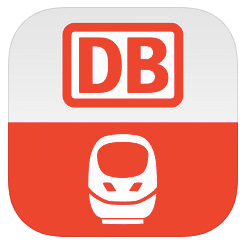 But the app has the schedules for pretty near all the trains in Europe, German or no. For the German trains, it has lots more information too, such as available seats, fares, connections, etc. We often use it for the schedule info if Rail Planner doesn’t have all the info we need. 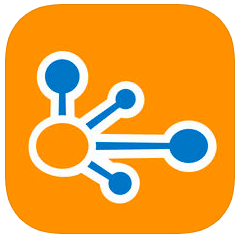 Get DB Navigator for IOS or Android. I tend to like Hotels.com over Booking.com mostly because I find the interface slightly easier to use. But I always do check both sites when booking a hotel to see that I get the best deal. One thing I like about Hotels.com is their one free night for every 10 nights stayed. That amounts to a 10 percent discount. And we like discounts. 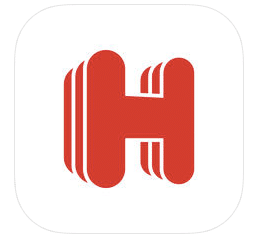 Get the Hotels.com app on IOS or Android. As I said above, I like to check both hotels.com and booking.com before we book. The prices are not always the same. If the booking.com price is 10 percent lower than the hotels.com price, take booking.com’s deal. 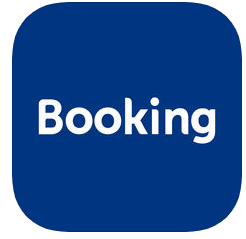 Get the Booking.com app on IOS or Android. We often use AirBnb when we’re interested in staying longer in one place, or if we don’t like our hotel choices for some reason. The main advantage of AirBnb, as we see it, is having a kitchen (and sometimes laundry.) It’s a little more complicated to book with AirBnb, but as long as you know that, we do like it for those specific purposes. 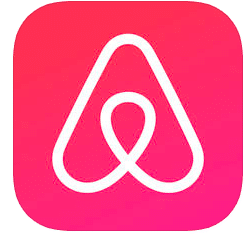 Get the AirBnB app on IOS or Android. We’ve used the hotel tonight app several times. Once, when our original booking fell through, and several times on road trips in the United States. It works great. The rates are often low as hotels are getting rid of their unsold rooms at the last minute. 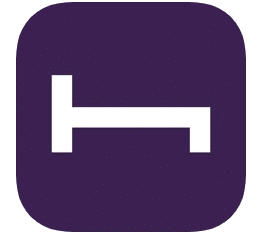 Get the Hotel Tonight app for IOS and Android. There’s really no need to explain why Google Maps, except to emphasize that it works everywhere we have been, including the remote bush of Malawi. Directions, nearby restaurants, suggested landmarks–you name it–they’re all there. In many ways, it’s the traveler’s best friend. We use it every day. 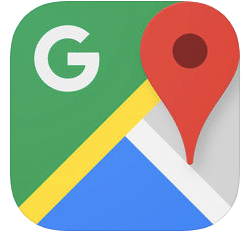 Get the Google Maps app for IOS or Android. This app is probably one of best reasons for having a smart phone at all. We use it all the time for translating signs, menus, and for making our wishes known. Who knows how to say bandages in Vietnamese? Google Translate does, thank goodness. One of the very coolest things about it is the camera feature. You can take a pic of the words in question, swipe your finger over the characters, and the translation just works. Comes in handy when you’re trying to read the menu for a Korean washing machine. 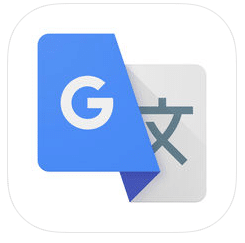 Get the Google Translate app for IOS or Android. This is an all-in-one conversion app that handles currency conversions for wherever you are using up to date rates from the internet. Of course, there are metric conversions for temperature, length, volume, area, and even cooking measurements. Believe it or not, there are even tables for radiation dosages, just in case you visit Chernobyl. Get the Globe Convert app for IOS. The plain and simple reason for this app over the Weather app that comes on your phone is that it gives you more information, e.g. air quality, allergens, and moon phases. Not always necessary, but fun nevertheless. 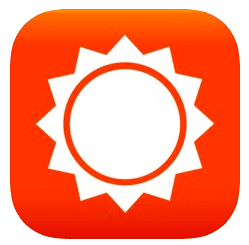 Get the AccuWeather app for IOS or Android. Uber is really pretty obvious. We always use it (or Lyft) to get to the airport and back again after a trip. What’s not obvious is that Uber works in countries all over the world. We’ve used it in dozens of different countries, including ones where it’s not always easy to find a taxi. 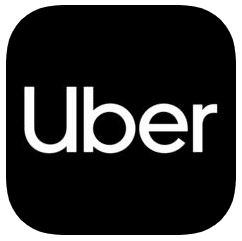 Get the Uber app for IOS or Android. Honestly, this is probably the best and most useful app we use. Once you make a reservation of any kind, you just forward the confirmation email to Tripit and it files it for you within a “trip.” So, all reservations for air, train, hotel, car rental, are in one spot, with the addresses, terminal numbers, confirmation codes, etc. It’s especially useful for flights as it updates you on gate changes, delays or whatever other info you need. In the case of a long delay or cancellation, it even allows you to look for a replacement flight from within the app. Get the Tripit app for IOS or Android. WhatsApp is a texting app which is used much more outside the United States. We’ve used it countless times with friends, guides, and drivers we’ve made contact with in other countries. Be sure you enter the contact info for your new friends before you need to use it. The great thing is that it allows free texting in whatever country you’re in to phones from whatever country. Get the WhatsApp app for IOS or Android. Although we use it infrequently, this is actually one of my favorite apps. The reason is that messages are end to end encrypted. 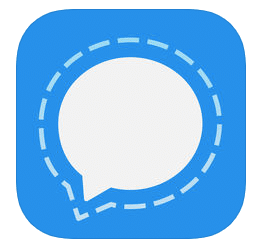 That makes it the very best texting app for when you might need to send a password or anything else you don’t want out in the open in any way. You actually set it up by physically pairing your phones via the app with your correspondents. That way, there’s no way a message can be intercepted. It’s really kind of cool. Get the Signal app for IOS or Android. 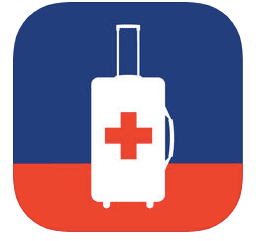 This is the app if you have a travel insurance policy from Allianz (which we certainly recommend.) We’ve had occasion to use it recently when Kris was injured in Vietnam. The most useful bits are the lists of the doctors and hospitals around the world that speak English. Also useful are the phone numbers for all the US embassies and consulates who are there to help you out with whatever problem you’re facing. Here’s more info on the Travel Smart app. 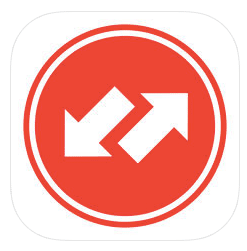 Get the Travel Smart app for IOS or Android. These apps run your lights and thermostats remotely. They aren’t stand alone apps. You do have to buy the Hue wifi enabled light bulbs and hub and the Next wifi enabled thermostat. But the idea that you can more or less run your house while you are thousands of miles away is really sort of appealing. 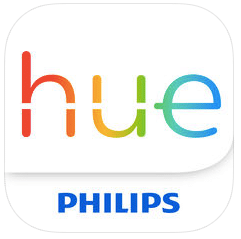 Get the Hue app for IOS or Android. The Nest thermostat does for your heating and air conditioning what Hue does for lights–total control of your settings via wifi and your app from wherever in the world you are. When we’re out of town, we can just set the thermostat to “Eco” and your heat will only run if the home falls below a certain temperature. When you’re on your way home, you can remotely turn the heat back up a couple hours in advance so your home is nice and warm when you get there. 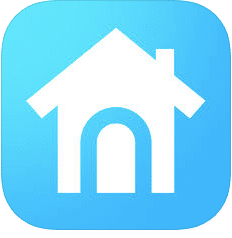 Get the Nest app for IOS or Android. Do you find this post helpful? Pin it, or share it by using any of the social buttons above. I should have mentioned it in the post, but we use the paid “Pro” version of Tripit. Definitely worth it for the extra features. I use 6 of these regularly plus Rome2Rio. But I love your suggestions of Tripit, What’sapp, Travelsmart, etc. But there are some I will have no need for just yet. Thanks. Just checked out Rome2Rio. Cool app that we’ll probably adopt. This is a great selection of apps for those that travel frequently. It sometimes slips our mind just how dependent we have become on all of our electronic accessories. Never slips my mind. Unfortunately I seem to spend too much time on them. Damn Facebook. I want to know how you get them all to fit on your phone and still have space on the hard drive. Android phones which we use are constantly filling and so if one app is added, something else needs to go. Comprehensive list you provided us! I have a bigger iPhone, so space no prob. Don’t Android phones come with more storage? I do however always strive for simplicity. I have a lot fewer apps on my phone than I used to.